Electrical repairs can hold up a project, especially if you don’t have someone who is handy in the electrician department. Many homeowners are looking to do more things themselves, which may include electrical work. At the end of the day, you may wrestle with DIY, hiring a handyman, or hiring a qualified electrician. While it takes a special person to know how to do electrical work, it doesn’t take a special person to know it’s hazardous. Messing with any sort of electrical wiring can be treacherous, especially if you have no prior experience. A licensed contractor will be able to properly do electrical wiring. If you DIY or hire someone who “might” know what they’re doing, you are risking a lot. Kemp Electric is licensed, insured, and bonded. You know you will get quality work and you know your money and home is protected. Hiring someone off the handyman market or trying to do it yourself poses a lot of risks. There are benefits to hiring a company like Kemp Electric. They can show you their experience and the proper licensing. Plus, you are going to know who you’re hiring. Not only do you get the electrical talent, but you get someone who knows how to work legally on a project. Remember that codes and laws are always changing, Kemp Electric stays up-to-date on all this, so you can feel at ease. If you’re doing handy work on your house, it’s one thing to do the painting yourself. However, moving around electrical wires or installing something new gets perilous. In this position, you NEED a qualified electrician. You don’t want to incur a financial loss due a handyman who may be deceptive or even perform legal electrical practices. The bottom line is to hire a qualified electrician. Will you have to pay a little more? Maybe! Will the job get done, right? Yes! You can go to bed every night with peace of mind. You will know that each electrical wire is where it’s supposed to be. 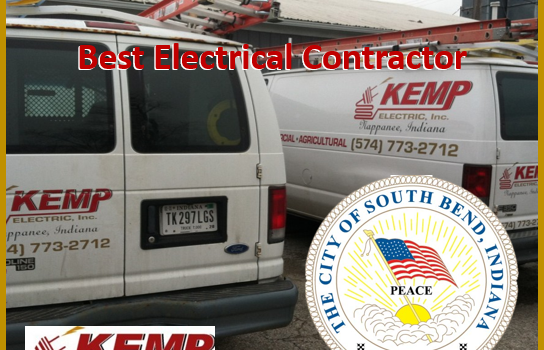 Kemp Electric has been in this business for many years. We’ve seen horror stories and we don’t want you to experience those. At the end of the day, DIY or hiring a handyman isn’t the safest route to go. Hiring an experienced and qualified electrician is the right way. Visit Kemp Electric on Facebook or call Kemp Electric today! Because an electrical contractor may be specialized in one area and not another, it is important to identify exactly what you need from the electrical contractor. Is this a major electrical issue or do you just want to update your current electrical system? Do you need a repair? Is something not working? Do you have specialized systems such as security systems, video, wireless networks, or alarms? Keep in mind that the contractor will need to know if this is a small business or a large commercial business. Knowing the answers to these questions will help the electrical contractor to better determine if they can help you or not. Once you have determined if a commercial electrical contractor can assist you with your needs, it is important to determine how proficient they actually are in their trade. The truth is that people can say they know what they are doing all day long, but if they don’t have the certifications and knowledge to back it up, you don’t want to chance it. Don’t just go by the reviews on their website; look into their reputation in the community. Talk to other places and ask who they have used and what the outcome has been. If you are questioning the reputation of a specific electrical contractor, you can easily look up reviews online. Do your research on the contractor before hiring them. Electrical work is dangerous work and you want to ensure that the electrician you choose knows what they are doing and adequately performs a safe, reliable, and code enforcing job throughout the community. What code do you follow when installing? Will it comply with NEC or NEIS standards? Will you fix work that doesn’t meet my standards? Can I have a written estimate before you begin? NECA Connection has developed a searchable database of electrical contractors for all over the United States. Contractors on the NECA Connection have been proven to provide safe and reliable installations. Most contractors listed in the NECA Connection have completed an apprenticeship program with over 1,000 hours of instruction in the classroom and at least 8,000 hours of on the job training. Finding South Bend’s Best Commercial Electrical Contractor is worth it to your business. Take the right steps to ensure you have only the best.